In the new San Francisco, the average dollar is a luxury dollar. Paragon reportsthat luxury home values in San Francisco have blown past their pre-recession peaks, lending handy graphic form to the thing we all feel in our gut. Not only that, but proportion of home and condo sales that fall in the category of luxe has also jumped. Since 2007, the number of luxury dwellings—defined as more than $2M for single-family homes and $1.5M for condos and co-ops—changing hands has increased twofold. That somewhat arbitrary benchmark holds whether you’re looking at a true manse or a Bernal fixer-upper. The increase is part self-fulfilling prophecy (when prices go up, more properties will beat that luxury benchmark) and part legacy of all the high-end condo construction of the previous decade-plus. Even though condo sales lagged in the downturn, many pre-recession properties are reaching the MLS for the first time as their original owners put them on the market. Indeed, condos are capturing a larger share of the luxury housing cache. And now they’ve even overtaken luxury home sales in San Francisco. Though the briskest activity is in the predictable places—Pac Heights, the Marina, Russian Hill—historically scrappy neighborhoods like the Mission and Mid-Market are seeing rapid growth. And with the building frenzy back in full force, we should be seeing more of the same. 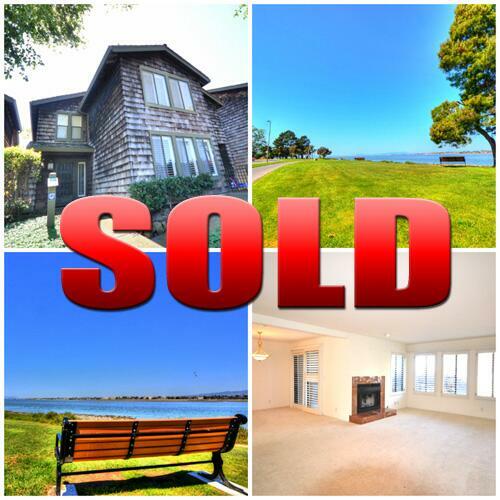 Just SOLD! We have more listings coming up, so call us – we don’t want you to miss out! 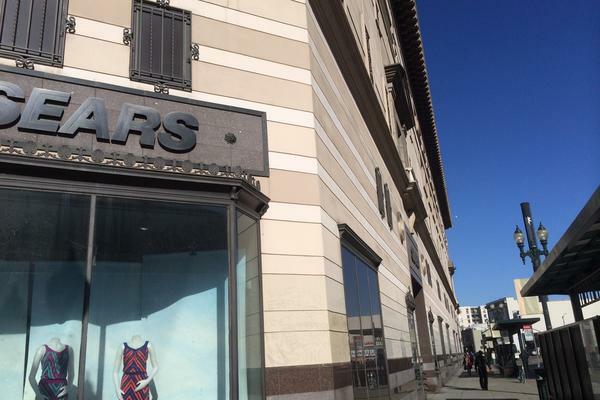 Lane Partners plans to convert the Sears building into a retail and tech hub in the heart of Oakland’s booming Uptown neighborhood. The real estate investment firm, based in Menlo Park, beat out several bidders and paid $25 million or about $63 per square foot for the historic, 400,000-square-foot building at 1945 Broadway from Sears Holding Co. The firm plans to renovate the six-story structure to house a space large enough for a major tech tenant and rebrand it as Uptown Station. “Uptown Station will be embraced by the tech sector due to great architecture, new technology, collaborative space and a great live/work environment,” said Scott Smithers, managing principal of Lane Partners. The property, built in 1925, features 66,000-square-foot floorplates and currently houses just one tenant, a Sears department store, on the ground floor. Sears plans to vacate the space within 90 days. Smithers said the spacious floor plans, historic architecture, and expansive windows make the building ideal for “creative space” that many technology tenants want. That type of space has become scarce in both San Francisco and Oakland — especially in the range of 350,000 square feet. The building also sits right on top of a BART station and is located in the middle of Uptown. The area has become a thriving entertainment district. Over the past several years, dozens of new restaurants and bars have opened, as well as hundreds of new apartments and condos. Some tech companies like Lyft, a maker of an app for car sharing services, looked in Oakland, but couldn’t find a large enough space. “(The Sears building) will be great for downtown Oakland and is going be able to attract a tech company from San Francisco,” Dolby said. Now that the deal closed, the rehab is next. Some of the building’s windows were filled in with concrete to make it more seismically sound, so Lane Partners plans to restore the windows to make them operable and install other types of seismic reinforcements. The new owner expects to finish the renovations by the first quarter of 2016. Lane Partners plans to keep retail on the ground floor to “activate the street” and convert the basement level into parking. Lane Partners already hired on a team of brokers led by Bill Cumbelich, a San Francisco broker with CBRE, to lease up the building. The building has significant potential, said Alan Dones, managing partner and CEO of the Strategic Urban Development Alliance LLC, who tried to buy the building earlier this year, but fell out of contract. Another bidder, Strada Investment Group went into contract on the building after that, but they also didn’t close. This lovely 3 bedroom, 2 bath home, 2 car garage with extra storage and enclosed courtyard single family dwelling in one of the most desirable neighborhood, Westborough area . This property provides open floor plan and ample of natural lighting via all the double pane windows and patio doors, living and dining rooms combo. Kitchen consists updated counter top with solid surface for easy cleaning and plenty of cabinet space, stainless steel refrigerator and oven; breakfast bar divides up the kitchen and family room area; contemporary remodeled hallway bath with tiled flooring and shower over tub; master bedroom with access to courtyard; Mosaic tiled master bathroom gives an artistic touch. Side by side garage and on street parking. Construction recently kicked off on a mixed-use four-story residential and office building on Cowper Avenue, near the Palo Alto Caltrain station. Because there is so much demand in the area and new construction there is so rare,developers R & M Properties are aiming for prices of $1,500 per square foot for the residential portion, which will consist of a massive 5,000 square foot condo with private elevator access. That condo alone could bring in a price of$7.5 million. The 30,000 square feet of office space on the first three floors already has a tenant, although there’s no word on who that may be. The new building, designed by architecture firm The Hayes Group, is expected to be complete by the end of 2015. This April 2014 analysis was based upon a survey of Paragon Real Estate Group agents regarding their past 12 months of activity: Paragon agents close over 1000 San Francisco home transactions per year; Paragon’s Van Ness office represents more buyers in successful city home purchases than any other brokerage office. All percentages are approximate: This was not a rigorously controlled survey and analysis, but more an informal poll; still we believe the data below does generally reflect market dynamics in San Francisco. 60% are selling to relocate outside of San Francisco: The main reasons, in order of prevalence, are schools (and other family-raising reasons) — which ties in with the fact that SF has the lowest percentage of children of any major city in the country — affordability (the ability to buy more home for the money elsewhere), job-related reasons (relocation, commute) and retirement. 15% involve trust, probate or investor sales, or people moving into rentals or retirement homes, and no new home purchase is involved. 25% are selling in order to buy another property within the city, typically either upgrading to a more expensive home or downsizing to a smaller home, or a divorce is involved. 50% are first-time buyers. This is a very high percentage: In the U.S. the percentage is about 30% (and, of course, the U.S. median price is under $200k, while the SF median is over $950,000). Average age of SF home buyers is generally getting younger and is currently in the mid-thirties. 47% of SF home buyers are employed in high tech. This is a distinctly San Francisco phenomenon related to the first 2 points above: An influx of relatively young, often newly affluent, high-tech employed, often first-time buyers – who can afford SF home prices – is playing a decisive role in the market. 20% of prospective SF home buyers have become discouraged and given up on buying in the city, due to the competitive environment and rapidly appreciating prices. They’ve either given up for the time being or shifted their home searches elsewhere. Approximately 10% of home sales occur outside of the multiple listing service, i.e. as so-called off-market/ off-MLS/ pocket listings. This agrees with other analyses Paragon and others have performed. Conclusions: To a greater extent than is probably normal, there is an exchange process occurring in San Francisco, with existing residents moving out and new residents moving in. One of the biggest reasons for selling is to relocate for better public schools outside SF or to save money by enrolling children in suburban public instead of city private schools; high prices are motivating some city homeowners to cash out to buy bigger/better homes elsewhere; frenzied market conditions are discouraging homeowners who might otherwise sell to buy other (larger, better) homes within the city – many of these homeowners are staying put out of trepidation. This last situation is affecting/lowering the supply of homes for sale. According to the latest U.S. census data, the estimated increase in the city’s population since 2010 is 32,000; over the same period, the number of employed residents has jumped by over 55,000. Per the Planning Department, the approximate number of new housing units added since 2010 is 4200. With 38% of SF’s households consisting of 1 person, and an average household size of 2.3 persons, we’re looking at over 22,000 new residents who have been looking for homes that don’t exist. This is one of the biggest factors behind the huge upward pressure on rents and home prices. With the market recovery that began in 2012, another 6000 housing units are currently under construction and most should be ready sometime in the next 2 years. Housing units include condos (sales), apartments (rentals), houses (a very few) and community housing projects. but it may contain errors and is subject to revision. Exquisite floor plan with high ceiling & amazing modern design 2BD/2.5BA townhouse in Zephryr Gate Development. Bamboo floors, granite countertops, ample of cabinets, stainless appliances & high end finishes throughout this home where has a spacious & airy feel as you enter into a kitchen/LR/DR open floor plan, that leads to a balcony. 2 master suites across from each other providing privacy.